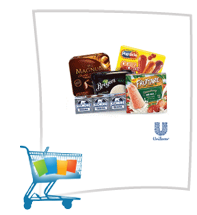 $1.50 off any One Breyers, Magnum, Popsicle, Klondike, or Fruttare Products! For the Klondike bars: can't I use two 1.50 coupons in the B1G1 deal? That would make the ice cream 0.50 cents.